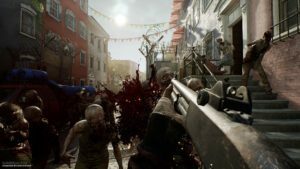 Developers “Overkill’s The Walking Dead” have announced that in October closed beta testing of its PC-version will be started. Those, who have an issue they need to take in the game pre-order. If you pre-order the Deluxe-Edition Overkill’s The Walking Dead, you will get five additional codes. These codes is useful to participate in a closed beta, which is ready to send to your friends. “Overkill’s The Walking Dead” is strongly reminiscent of Left 4 Dead: a gallant quartet of heroes such as Aidan, Maya, and Heather Grant. They will survive the zombie apocalypse and relying solely on their own skills. 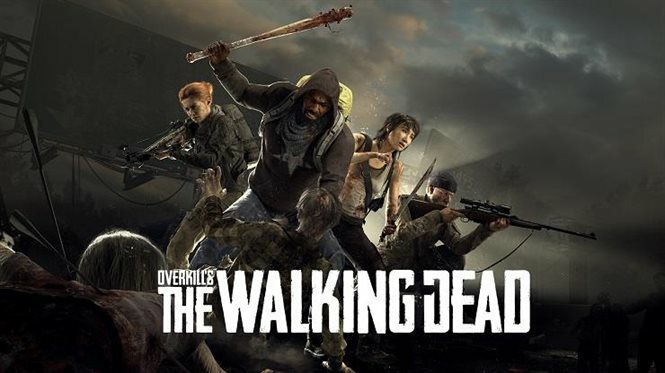 The beta test of the “Overkill’s The Walking Dead” will begin on October. Only PC players will be able to take part in testing. The owners will get the guaranteed access to the beta version. For purchasing the standard edition the owners of the deluxe edition will receive four keys. It is possible that the players who have just applied for participation will be able to get into the beta version. The developers promise to reveal the details closer to the start of testing. The PC release will take place on November 8. The console versions will be delayed until February 8 of next year.